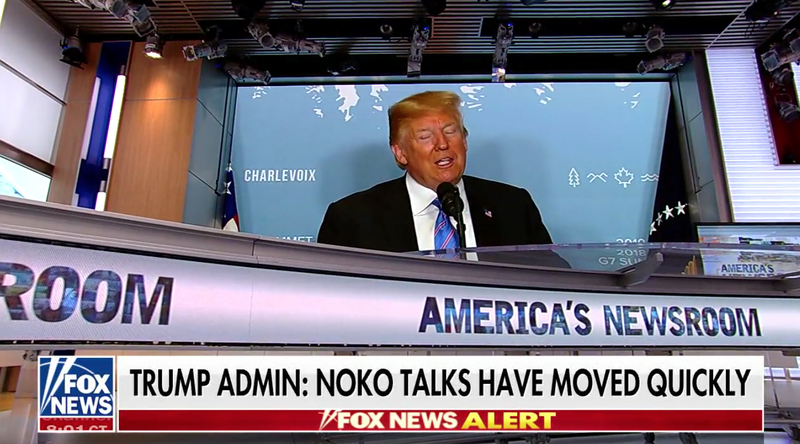 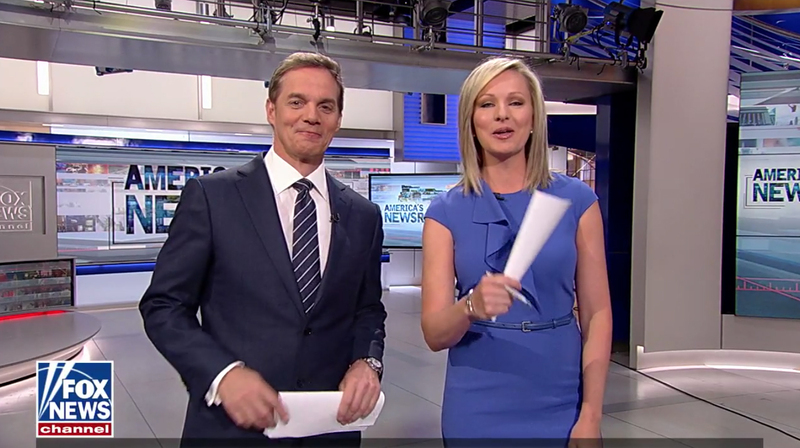 Co-host Bill Hemmer, joined by Sandra Smith, who moved off of “Outnumbered” to join “America’s Newsroom” full time, welcomed viewers to the new studio and quickly coined the phrase “J stands for ‘jazzy'” when discussing the new digs. 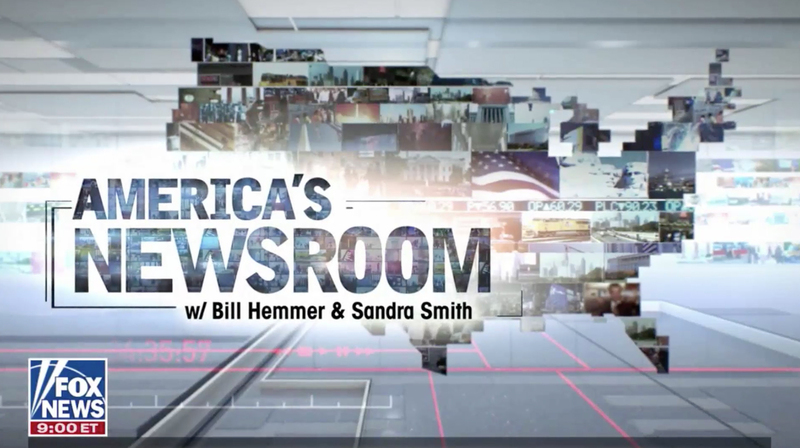 Hemmer and Smith started the broadcast standing up with the studio’s catwalk visible above them and then moved around the space for the rest of the broadcast, using a variety of configurations and backgrounds for different segments that showed off the set’s flexibility more than the format of “Hannity” allows. 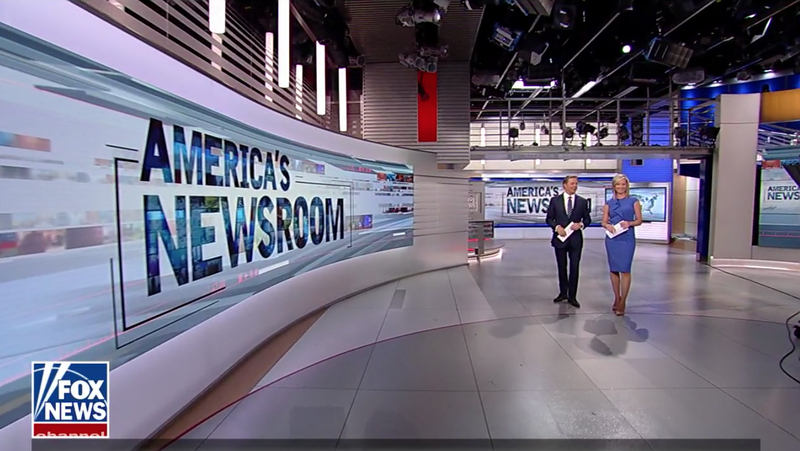 Studio J’s plethora of video walls and panels were used extensively to showcase video clips, teases and other graphics using both “walk and wander” and “video in video” techniques, including with the studio’s mobile LED video ribbon and glass topped anchor desks visible.